Edward L North Hunt was born in 1792 in London, the son of barrister Charles North Hunt (b.1765) and Mary Hughes, née Place, and christened at St Andrew’s, Holborn on 26 June 1792. He married Hannah Paggett (1804–99), the daughter of surgeon Martin Mason, at St John’s Church, Parramatta, on 20 June 1821. They had one son and seven daughters. He died on 20 December 1866 at his Hampton Villa home in Balmain, and was buried at St John’s Church, Ashfield. He was a Presbyterian. Edward Hunt was apprenticed as a cabinetmaker in London. He arrived in Sydney on the Broxbornebury on 28 January 1814 and worked as a joiner for two years. In 1819, with his brother Frederick, he set up as a cabinetmaker of George Street. In 1825 he was registered as an undertaker. When the partnership with his brother was dissolved in 1828, Edward moved to George Street and then, in 1833, to Jamison Street where he established his ‘Cabinet Ware and Shew rooms’, becoming the colony’s leading manufacturer with a workforce of 30 to 40 people. His new premises and residence were designed by the architect John Verge. In 1835 he closed his undertaking business, selling his best horse and mourning hearse to his former apprentices Charles and Thomas Kinsela. His son-in-law (or nephew) Charles North took over the cabinetmaking business when he retired in 1847. He rented out eight houses in Goulburn Street, three of them brothels. About 1847, the Hunt family moved into the newly-completed stone house with attic roof called Hampton Villa at 12 Grafton Street, Balmain. This property was later leased to the New South Wales Premier Sir Henry Parkes for four years from 1888 and it was listed on the New South Wales heritage register in June 2005. 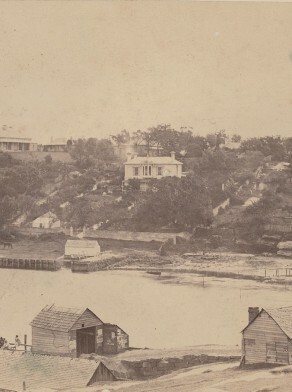 In March 1852 Edward Hunt bought Waterview House in Balmain and rented it out until it passed to his daughter Emily Blackwood Fitzgerald on his death. Hunt also acquired further property in Balmain. In 1854, he profited from the sale of a small triangular block to the Government for the erection of a Watch House (now the Balmain Association). In 1857, following a dramatic rift between the united Presbyterian and Congregational Churches in Balmain, a new timber Presbyterian church was built on his land on the corner of Darling Street and Colgate Avenue. Edward Hunt was a Director of the Australian Gaslight Company, 1853, and Deputy Chairman of the Metropolitan and Counties Permanent Investment and Building Society. In 1820 he was a member of the committee of the Sydney Bible Association and in 1821 subscribed to the Sydney Benevolent Society. He contributed to the building of the Scots Church in Sydney and in 1827 was appointed to the committee of the Wesleyan Auxiliary Missionary Society. He was also a committee member of the Australian Religious Tract Society. Edward Hunt was a Member of the New South Wales Legislative Council from 25 March 1858 to 13 May 1861. 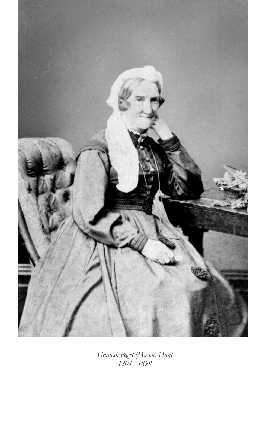 Hunt was a Foundation Councillor for Brisbane Ward, 1 November 1842 to 31 October 1843.